Happy New Year from The Westcoast Reader! Our January 2018 issue is out! 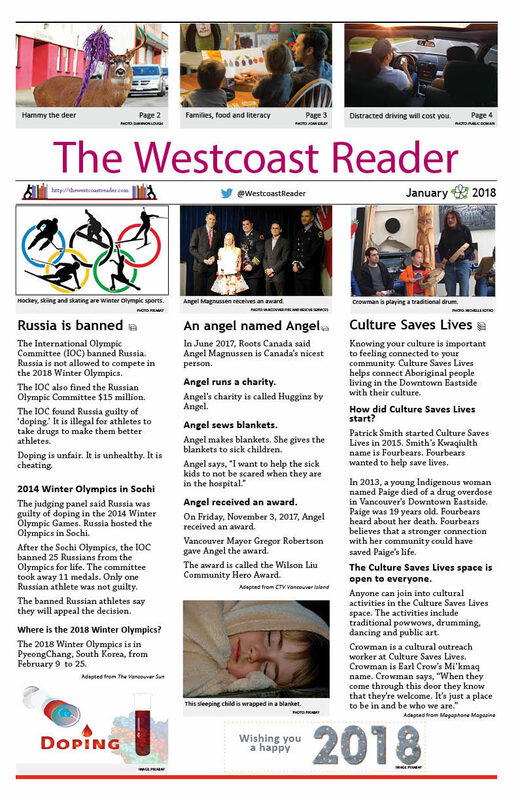 Front page of The Westcoast Reader newspaper — January 2018 issue. The January WCR newspaper has articles about the 2018 Winter Olympics, family literacy, a driver training program and more……. The next issue of The Westcoast Reader newspaper will be delivered to subscribers the first week in February 2018. Subscribe now to be sure you get your copy on time. Season’s Greetings from The Westcoast Reader! Our December issue is here! Front page of The Westcoast Reader newspaper — December 2017 issue. The December WCR newspaper has articles about Gord Downie, chopsticks, a daycare worker, and more……. 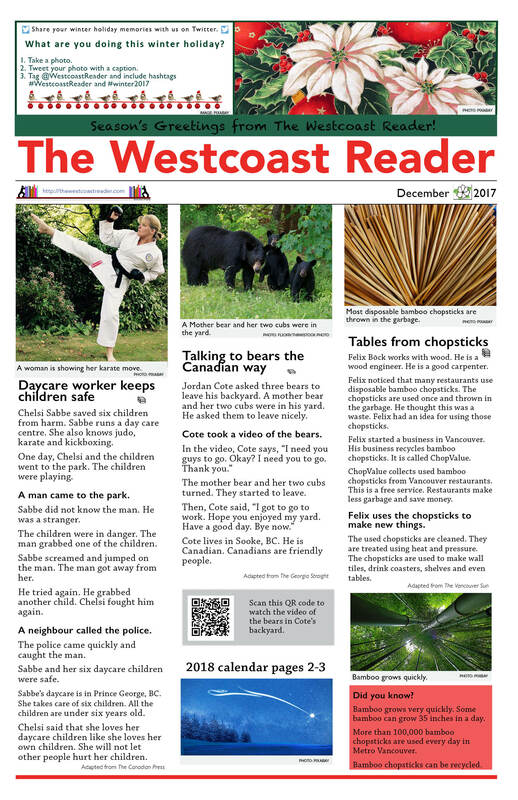 The next issue of The Westcoast Reader newspaper will be delivered to subscribers the first week in January 2018. Subscribe now to be sure you get your copy on time.